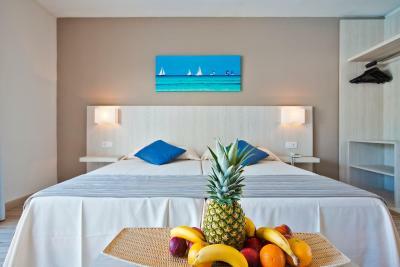 Set in extensive gardens, Hotel Calimera Es Talaial is 350 feet from a small beach in Mallorca’s Cala D’Or. It features a gym, spa and sauna, as well as indoor and outdoor pools. Air-conditioned studios feature a balcony or terrace. The living room has a satellite TV, safe and sofa or sofa bed. There is a private bathroom with a hairdryer and toiletries, and the kitchenette includes a fridge. 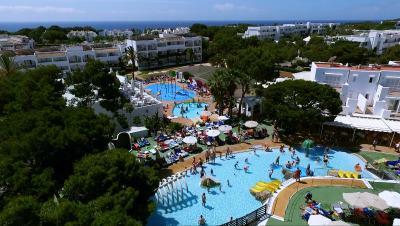 You can play table tennis or billiards and there is a children’s playground and free Wi-Fi zone. 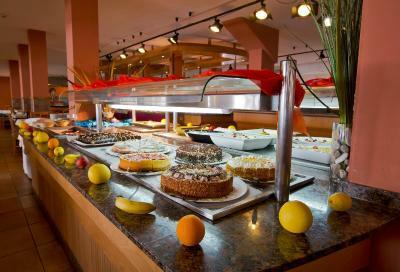 There is a buffet restaurant, bar and snack bar. Packed lunches can be requested and there is a mini-market and vending machine for drinks. Free on-site parking is available and you can hire a car or bicycle from the tour desk. There is 24-hour reception and a concierge service. An airport shuttle service is available for an extra charge. 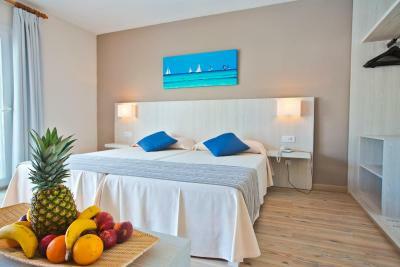 When would you like to stay at Hotel Calimera Es Talaial? Air-conditioned studios feature a balcony or terrace. The living room has a satellite TV, safe and sofa. There is a private bathroom with a hairdryer and toiletries, and the kitchen includes a fridge, microwave and coffee machine upon request. Air-conditioned studios feature a balcony or terrace. The living room has a satellite TV, safe and sofa bed. There is a private bathroom with a hairdryer and toiletries, and the kitchenette includes a fridge. WiFi is available in public areas and costs EUR 6 per 24 hours. 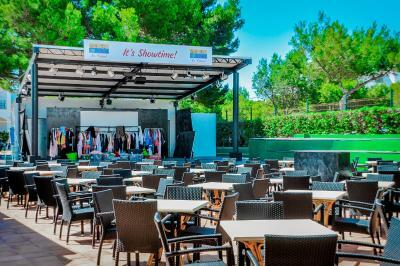 House Rules Hotel Calimera Es Talaial takes special requests – add in the next step! Hotel Calimera Es Talaial accepts these cards and reserves the right to temporarily hold an amount prior to arrival. Studios are cleaned 5 days a week. Safes and fans can be hired. Paddle tennis courts can be hired. There is a child minding service and push chairs can be hired. An on-site doctor is available daily and all international medical insurance is accepted. A masseur and physiotherapist are also available. 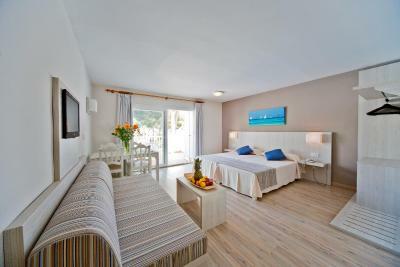 Please inform Hotel Calimera Es Talaial of your expected arrival time in advance. You can use the Special Requests box when booking, or contact the property directly using the contact details in your confirmation. Hotel rooms is cleaning every day, but still a lot of ants. First days wasn't internet and tv. I reported about problem in bathroom but not fixed. Hotel is in good location around beaches. Nearly small shop's. Admin is very helpful. Is good programs for children. Food was good.